Hey girl, how about we Pokémon Go and chill tonight? Gone are the days of penning love letters and wooing your crush with bouquets of flowers and chocolates. Welcome to the modern era of dating, which involves trailing imaginary forms across the city while tripping over stray dogs along the way. It’s definitely created a stir across the globe — there’s no escaping the augmented reality game developed by Niantic. Taking its tag line ‘Gotta catch ’em all’ quite literally, the application has caught the attention of people across the world who are using location-based sharing to catch Pokémon that are strategically placed in your surroundings. Getting couch potatoes off their seats, the game also allows them to power up at PokéStops and battle it out with peers at nearby PokéGyms. As entertaining as it may be to run around discovering new places, the pointlessness of this collective obsession knows no boundaries. While our early addictions like FarmVille and Candy Crush Saga were equally mindless, with augmented reality there are zero barriers between the real and the virtual world. This means that we are sacrificing our privacy and safety, along with our cellphone batteries and data plans. With the incessant ‘Tindering’, it’s safe to say that l’amour has died a brutal death. 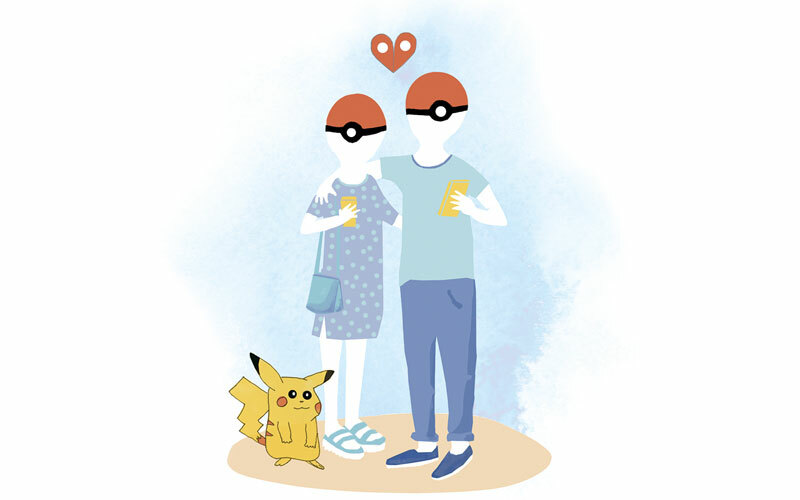 But all the hopeless romantics will agree that the next time you spot a girl flicking virtual balls to catch a Pinsir, please don’t try and ‘Weedle’ her ‘Jigglypuff’!